Get an industry unique 25% weekend booster up to € 300 per day on both losses and wins! Welcome to the online world of slots where you can find all the slot titles you wish to play. 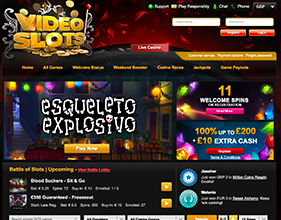 Videoslots Casino is quite attractive instant play online casino established in 2011. The casino is operated by Panda Media N.V. and it is powered by Microgaming Quickfire, Sheriff Gaming and Cryptologic online casino software providers among others. The Microgaming Quickfire instant-play platform alone offers the most diverse casino games in the industry. The casino holds online gambling licenses from the jurisdictions of UK and Malta. When it comes to slots, there is no better place to play them than here. If you are a high roller looking for an online casino that has everything on offer from slot games, including high limit video and 3D slots, you are at the right place. With wild and scatter symbols, stacked wilds, bonus rounds with free spins and multipliers it is no wonder how Videoslots Casino got its name. Therefore, take your chips and your favorite drink and head over to the slot game of your choice. Although Videoslots Casino is run by many online casino software developers like Cryptologic, Sheriff Gaming, Betsoft Gaming and Quickspin, Microgaming is the leading software platform of the casino and in the online casino community in general. 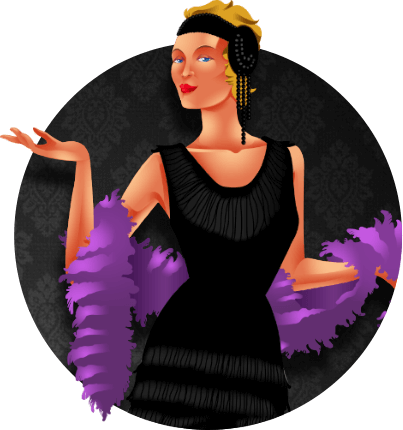 When it comes to the best online casino software developers, Microgaming is the software Godfather of all of them. It is a reliable software platform of high quality and players can find all their favorite titles here in one place. The Microgaming Quickfire platform, in particular, is comprised of some of the newer and probably better Microgaming releases. Even though there are fewer games than the downloadable version, the main focus is on quality. Combined with other platforms, Videoslots Casino offers the most diverse online casino library in the market and players, especially high rollers, can find all slot titles they want to play- from classic to video and 3D slots and many other casino games. With Microgaming you can never go wrong. The quality of the games is simply stunning. The graphics and sounds are fantastic and the animations are superb. Additionally, the graphics and animations of the games powered by Cryptologic and Sheriff Gaming are also great and offer some diversity in game play. Even though it is an instant play casino, the games are easy to navigate, fast to load and they run smoothly. High roller slot junkies would love to try out the following high limit games available at Videoslots Casino: Spartania, Alawin, Extreme, The Dark Knight Rises and Rook’s Revenge. Spartania is a 5 reel, 30 pay-line 3D slot by Sheriff Gaming. The maximum bet per spin is 750 coins. The slot brings the might of the Roman Empire right to your home computer. The game features wild and scatter symbol and a multiplier. An Arabian themed slot, Alawin is a 5 reel, 20 pay-line video slot by Sheriff Gaming. The name of the slot is a play on the words Aladdin and wins. The coin size ranges from 0.01 up to 5.00, same as Spartania slot, while the max bet is 500 per spin. The game comes with wild and scatter symbol and bonus round. A combination of classic styling and many new features, Extreme is a 5 reel, 20 pay-line, Sheriff Gaming video slot. It features wild symbol, bonus round with free spins and a multiplier. Based on the recent Batman movie, the Dark Knight Rises is a 5 reel, 243 pay-lines video slot brought to you by Microgaming. The coin denominations start from 0.01 up to 0.05. The maximum bet is 150 per spin. The slot has wild and scatter symbol, bonus round and free spins. Focused on Rook, an Aztec chieftain who dances around when you win, Rook’s Revenge is a 5 reel, 25 pay-line, Betsoft 3D slot. The coin denominations start from 0.02 up to 1.00. The max bet is 125 per spin. The game features wild and scatter symbol, a multiplier and free spins. Even though Videoslots Casino is focused on the slots, there are other casino games you can try out and some of them include the most popular table game titles of Roulette, Blackjack and Baccarat. Additionally, there are over 27 different variants of blackjack including Classic Blackjack and Super Fun 21. The casino also offers twelve different types of Roulette and among them is the popular Multi Wheel Roulette. The bonuses and promotional offers are one of the important factors to consider when choosing an online casino. Most casinos offer welcome bonuses, but they vary from one casino to another. Videoslots Casino realizes that players want value on the deposits they make, therefore, it offers players an attractive bonus of €10 extra cash on their first deposit. Videoslots Casino has undertaken all the necessary steps to ensure the safety of its layers. The casino has utilized the SSL encryption technology into their network which means that all the player’s sensitive data are 100% protected. In other words, your account information won’t be compromised by strangers. 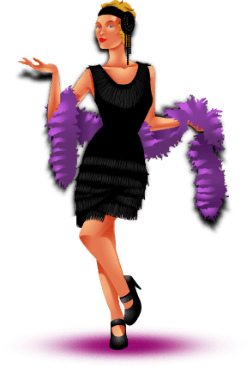 Additionally, the casino games are proven fair by eCogra and they are truly random. If you have any questions, problems with a game or simply want to give your feedback, you can contact the customer support team via live chat, email, or phone. There is a callback request that you submit through the website which means that they will call you back. The customer support service is available 24 hours a day, 7 days a week. Regardless of the nature of your inquiry, the team representatives won’t let you down. Videoslots Casino combines many different software platforms making it pretty diverse casino in terms of game variety. There is plenty on offer- from 3 reel classic, 5 reel video and 3D slots to table games, video poker variants are much more. Focused on slots in particular, the players that want to play big can bet at the high limit games and if lucky enough they may even hit a progressive jackpot. Even if they lose, they can get 25% of their lost money back every week. The casino is safe and risk- free and it provides 24/7 assistance.